Who hasn’t experienced anxiety at one time or another in their lives? And I’m not talking about that normal tension you get before an exam, or meeting the in-laws, or going for an interview. I’m talking about the kind of ANXIETY that starts affecting you and your daily life. Anxiety comes in varying degrees from chronic mild worry to obsessive-compulsive disorder and even full-blown panic attacks. Anxiety can manifest as feelings, emotions, or an attitude of unease, fear and apprehension, horror, insecurity, dread, nervousness, phobia, panic, obsessiveness, terror, surprise, paranoia, agitation, and worry. These emotions manifest physically in the body as we experience symptoms such as tightness in the belly, shaking, shortness of breath, irregular heartbeat, clammy skin, muscle tension, disturbed sleep and appetite, restlessness and digestive problems. In severe cases the physical symptoms can mimic a heart attack with chest pains, breathlessness, pallid skin and sweating. When in full force anxiety can trigger our fight-or-flight response and seize muscles in our body. It can be rather debilitating. Anxiety is said to derive from several different deficiencies and imbalances in the body. Acupuncture utilizes needles and heat placed on certain areas on the body as a way of stimulating blood flow, increasing energy and stabilising any imbalances. Essential oils carry huge benefits for our mental, emotional and even our physical states, I’ve only outlined a few points of interest, but please feel free to look further into the benefits as well as contraindications for each oil before use. When you have acquired some oils try mixing 3-4 oils, 6-9 drops of each for a pleasant aroma through a water vaporiser, to infuse the whole house. It is said our moods can change within 3 minutes of introducing a smell in the air. So give it a try and see if you notice any changes. I promise you will! Some of my favourites: Bergamont, Geranium and Rose, which make for a great room deodoriser when used in a vaporiser or as a gorgeous body scent mixed with a carrier oil such as jojoba, macadamia or coconut oil. All pregnant women need to consult their physician before the use of essential oils. Created by Dr Edward Bach (1880-1936), a British bacteriologist, medical doctor and homeopath, began to experiment with flower remedies, using them to treat certain emotional disorders including anxiety, depression and anger. Dr Bach theorised that these plant remedies contained natural ‘vibrations’ to restore harmony and health. Dr Bach eventually devised 38 Bach flower remedies. The Bach flower remedies are not harmful and will not interfere with other medical treatments. A normal dosage is 2 drops of remedy combined with 30ml of water. Four drops of the resulting mixture are taken orally four times a day. However, for short-term problems, 2 drops of each remedy can be added to a glass of water to be sipped throughout the day. One way to reduce anxiety is to use the brahmana/langhana strategy to reduce your level of hyper arousal in the mind. Create a level of exercise equal to the bodily stimulation generated by your mental activity. If your mind is going gaga ‘Just Dance, it’ll be ok that’s the truth, Just Dance,’ jump around, shake out the body vigorously, just move the hyper energy out of you and it’s fun! Exercise is a great way to reduce stress and improve sleep quality. Try to work towards at least 20 minutes 3 times per week. From brisk nature walking, swimming, running and cycling. Yoga and Tai Chi are also wonderful stress relieving, immune boosting movement based therapies. 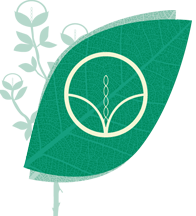 Please visit your local naturopath or herbalist to have a proper assessment and recommendation made up specifically with the challenges you are facing. All pregnant women need to consult their physician prior to their use of certain herbs. The benefits of a full body massage are truly underrated. We could all use a weekly or at the very least, fortnightly massage to get our circulation back in balance. We accrue much stagnant energy in the body that doesn’t move out of us with our current sedentary lifestyles. Booking in for a regular massage will have immediate benefits for anxiety sufferers. Anxiety creates increased muscle tension and decreased circulation to the areas of tension. The result of putting pressure on the capillaries causes an increase of lactic acid. Lactic acid causes muscle fatigue, muscle cramping, and an increase stress to the liver. To help shift attention away from anxiety producing thoughts hum the mantra ‘Om’; pronounced A.U.M. Om is the underlying sound of creation; the mantra from which all others have originated. (Sing as AaaaUuuuMmmmmm). If you are suffering from stress, your mind may have a tendency to wander and dwell on worries, failures and other negative thoughts. The aim of Meditation is to clear the mind by concentrating on one thing to the exclusion of everything else. One of the simplest meditations is to focus on your breathing. To practice meditation, find a comfortable seat, get cosy, breathe in and out and count one in your head. Repeat and count two and so on up to ten. There are many meditation techniques to relax the mind and body. Use focus words, mantras (sounds), chants, breathing and images are all common meditation practices. My favourite deep breathing technique is the Ujjayi Breath. It is achieved by mentally capturing the breath between the diaphragm and the throat, gently constricting the back of the throat, aiming for an ‘Ocean sounding’ breath. Sama Vritti – Equal Breath also calms the body and focuses the mind. Instructions for Equal Breath: 1. Sit in a comfortable, cross-legged position, taking padding under your seat as necessary. 2. Close your eyes and begin to notice your natural breath, not changing anything at first. 3. Begin a slow count to four as you inhale. Then also count to four as you exhale. The exercise is to match the length of your inhale and exhale. 4. You may experiment with changing the number you count to, just make sure your inhale and exhale stay the same length. 5. Continue breathing this way for several minutes. At the very least practicing deep abdominal breathing for at least 10 minutes per day will keep stress at bay. Relaxation We all know we can deal with our problems more easily when we are calm and this is where relaxation comes in. Deep relaxation through a lie down, Savasana (Corpse pose in Yoga), taking 2-3 minutes to close the eyes and breathe deeply, may help you to put your problems into perspective. Doctors usually advise to see a counsellor to deal with anxiety and often that is enough. To have a neutral perspective to bounce our problems off and get an unbiased opinion can sometimes put things back on track. So if you feel you have some issues that are clouding your mind and contributing to your anxiety, seeing a professional counsellor would definitely help you. In serious cases, the Doctor may prescribe an anti-anxiety medication for a short period. If this is so, please do not be dismayed. There is evidence suggesting anxiety has a genetic component &/or is based on biochemical imbalance. Sometimes we need a chemical rebalance, partnered with some form of therapy to move us in the right direction to reach our optimal health. Just make sure you monitor it and try not to rely on it permanently. Seek a more natural course of action to move onto after your course of medication. Now the course is coming to an end, then I will not accept it. At ” xanaxbest.com” I have read that Xanax Online is designed for reception during courses, but not on permanent basis, and I hope that my body will cope on its own. After looking over the various therapies available for anxiety, either talk with your Doctor or someone who loves and cares for you, about getting an anxiety plan together. It is much better for you to partner with someone close to share the load. I also suggest avoiding alcohol, tobacco and caffeine: and recommend lots of sunshine, spending time in nature, easing yourself back into routines, and facing your anxiety step-by-step, and gradually working your way back to a more stable grounded you. Learn to listen to your body and Be Kind To Yourself. Rhonda is a Hatha Yoga teacher at Kundalini House and teaches on Wednesdays at 9:30am. Please rate this wake up world post using the stars below. Your ratings will provide us a better understanding of topics that are important to our readers. We also wish to thank everyone for their continued support of Kundalini House and the Kundalini Houses Blog. Sat Nam.